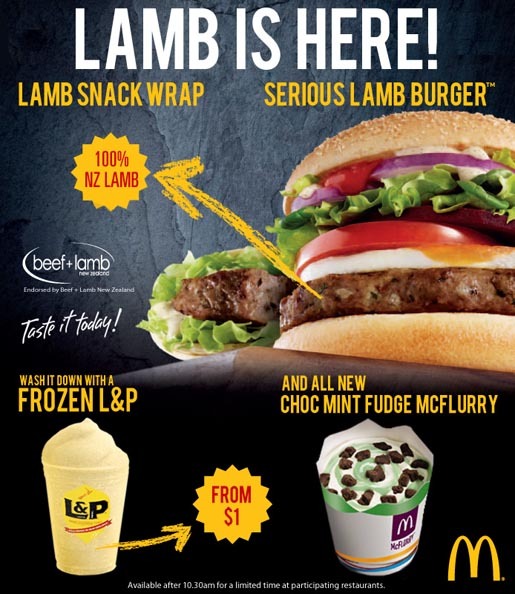 McDonald’s Australia and McDonald’s New Zealand have introduced lamb in their restaurant menus, launching the Serious Lamb Burger and Serious Lamb with an integrated advertising campaign. 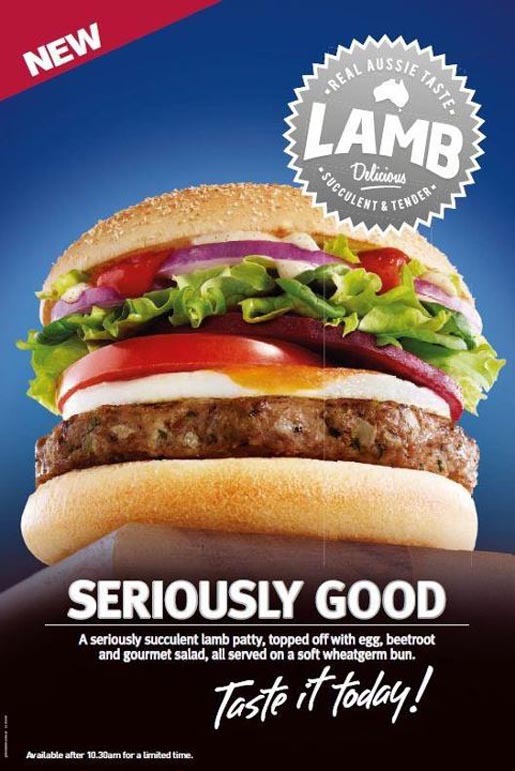 The product, developed over two years, is centered on a lamb patty made of s egg, breadcrumbs, onion, parsley, rosemary, oregano and garlic. 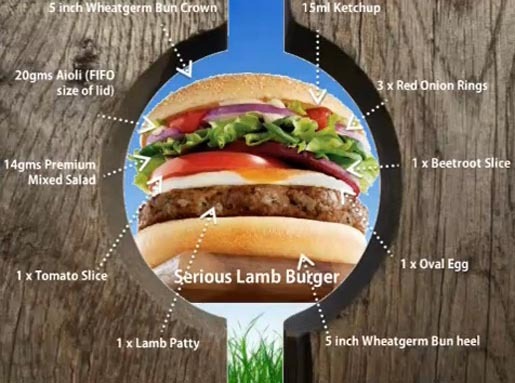 The Lamb Burger includes the Australasian combo of beetroot and egg. 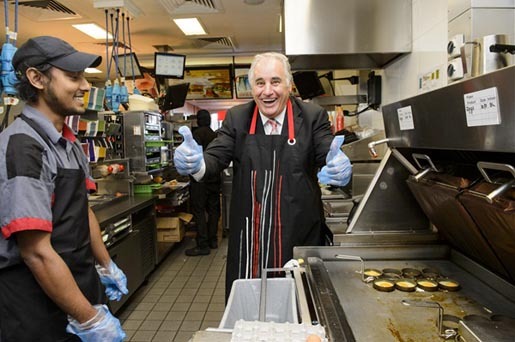 McDonald’s Australia has partnered with Meat & Livestock Australia to get the blessing of Lambassador Sam Kekovich, while McDonald’s New Zealand has gained the endorsement of Beef and Lamb New Zealand. 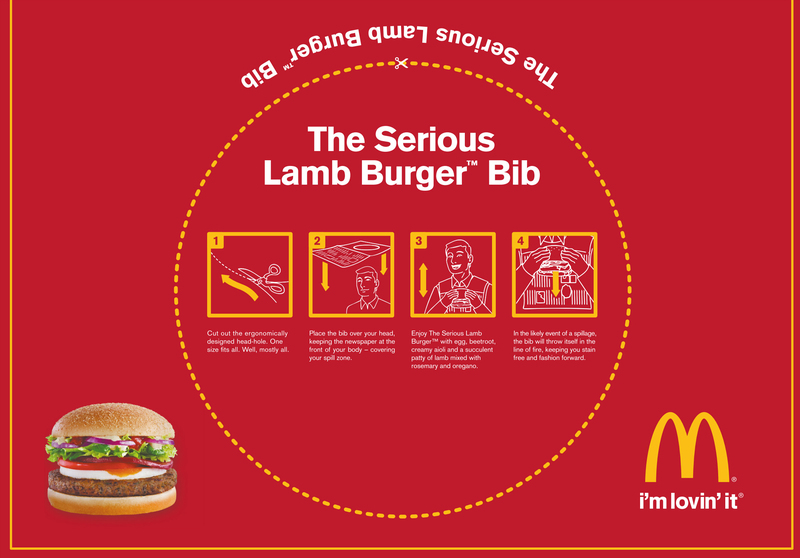 A full page newspaper ad doubles as a bib, encouraging readers to try out the new Lamb Burger. 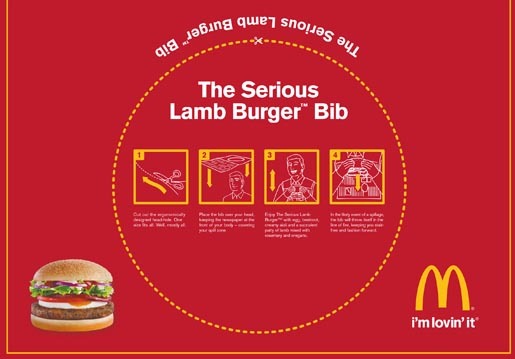 The McDonald’s Serious Lamb advertising campaign was developed at DDB Australia, by executive creative director Dylan Harrison, creative director Cameron Hoelter, art director Ryan Fitzgerald, copywriter Jim Curtis, managing director, strategy and innovation Leif Stromnes, managing partner Richard Morewood, senior business director Sara Tomonari, senior business manager Victoria Taylor, head of on screen production Brenden Johnson, agency producer Samantha Meehan, working with McDonald’s chief marketing officer Mark Lollback, director of marketing, Australia, Madeleine Fitzpatrick, director of marketing, NZ, Chris Brown, senior brand manager, Australia, Paul Pontello, senior brand manager, NZ, Chet Patel, and brand manager, Australia, Leanne Hughes. Filming was shot by director Nic Finlayson via Finch with producer Bonnie Fay, executive producers Karen Bryson and Rob Galuzzo, with editor Adam Wills. Post production was done at Fuel VFX. Music was by Song Zu. Media was handled by OMD, Australia and New Zealand.